I'm pretty sure you can never have too many vases, which is why I desperately need to buy this one from Sweet Love Vintage. 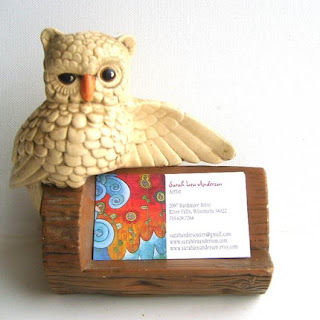 And of course, my life won't be complete without the owl business card holder. 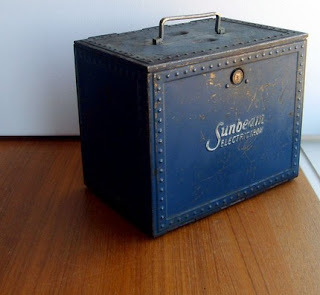 I also think I HAVE to have this vintage Sunbeam iron and awesome blue case. Oh, and did I mention the funky sifter, the 1980's cassette player (for listening to New Kids on the Block), or the vintage guest soaps? Sweet Love Vintage, where have you been all my life?! 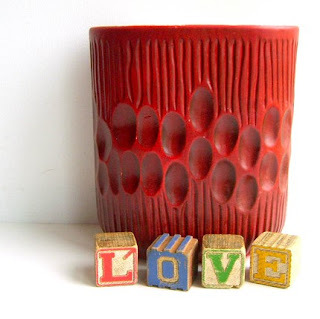 UPDATE: check out the Sweet Love Vintage blog for even more vintage delights. I keep trying to tell myself that I don't need it but I have a feeling it's going to end up in my house in a couple weeks! Swwet Love Vintage is such a cool shop! I've never seen anything like that owl business card holder. Funky and fun!